Most parts of the U.S. have experienced a brutal winter so far this year. While we may not have been snowed in or gotten caught in the arctic front, that doesn’t mean those of us out west don’t like to come home to a toasty retreat after a long day’s work. Is a luxurious and relaxing master bathroom makeover on your radar? Placing a fireplace in this unconventional space is the ultimate feature that’ll warm you up in no time. Adding a hearth in the bathroom is a calming feature that allows you to unwind, de-stress and collect your thoughts. Not only is it visually appealing, but it will stimulate your other senses as well. The sound of crackling flames and the woodsy, smoky aroma of logs burning will all contribute to an hour or two of rest and relaxation. This is just one of many bathrooms from our portfolio. It evokes a charming Old World feel, and the fireplace helps to enhance that aura. Stacked stone, a handsome copper freestanding tub and a beautiful Oriental rug complete the look. The mix of natural materials like wood and stone really bring this space to life. Another great feature of this bathroom is its lack of symmetry. Many master bathrooms are designed with a predictable, perfectly equal his and hers sections. Here, our bathroom still exemplifies balance with the vanity, fireplace and tub all taking up equal thirds of the entire space. With a fireplace in your bathroom, extreme weather and freezing temperatures are no concern of yours. Paula Berg Design Associates would be happy to design a space that goes beyond your wildest dreams. We have two studios located in Park City, UT and Scottsdale, AZ. Contact us today to find out how we can transform your ordinary bathroom into a toasty, year-round retreat! If you believe that chandeliers are only for dining rooms, think again. As families spend more time in the kitchen, the need for more intricate lighting options comes into play. 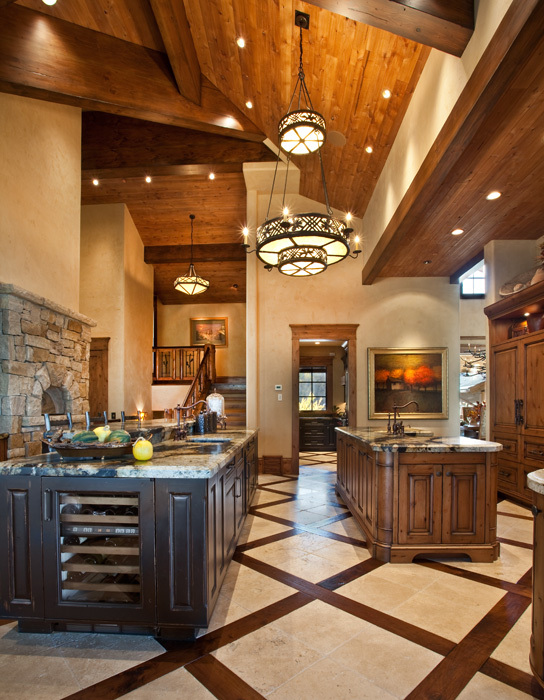 Although recessed, task and pendant lighting will always have a place in the kitchen, chandeliers are making headway. The purpose and function of a chandelier in the kitchen goes way beyond being just another source of light. It gives off a sense of individuality, character and charm that other forms of lighting can’t. Even in the plainest of kitchens, a chandelier can take it from drab to fab in an instant. In this kitchen, the chandelier is perfectly situated, forcing the eye to look up in admiration. Your attention is automatically drawn to the center of the room, which is exactly the visual effect it should have. Here, the metallic countertop is just one cool kitchen feature. Directly above, this cylinder fixture adds a tasteful finishing touch to this airy, modern space. It also creates a bit of surprise, which can always serve as a conversation starter. 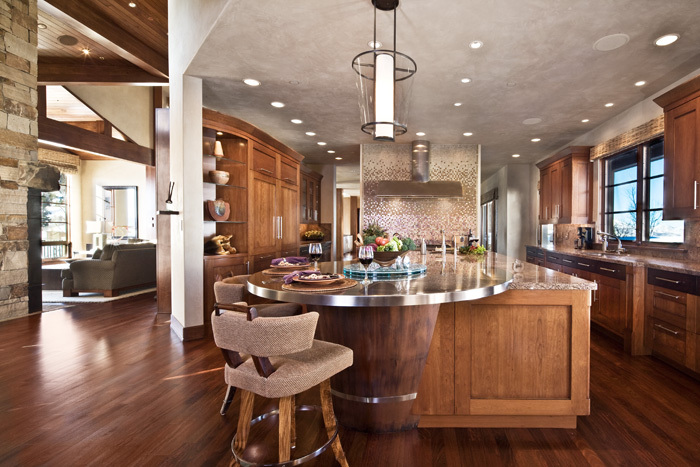 In both kitchens, you’ll notice that lighting is multi-dimensional. While function is a given, flexibility is also a must for homeowners. To meet this desire, several layers of lighting in addition to the chandelier can create the ultimate visual effect. For the sake of adding an element of surprise. Much like our cylinder light above, people love design elements they don’t usually see. Are you a history buff? A vintage chandelier could bring a bit of the past into your modern day dwelling. If your kitchen is characterized by lots of solid materials like wood, glass, stainless steel, stone and/or tile, an elegant chandelier could be an ideal way to add a little softness to a hard, masculine kitchen. I’d love to design a functional kitchen in your home, complete with a stunning chandelier. 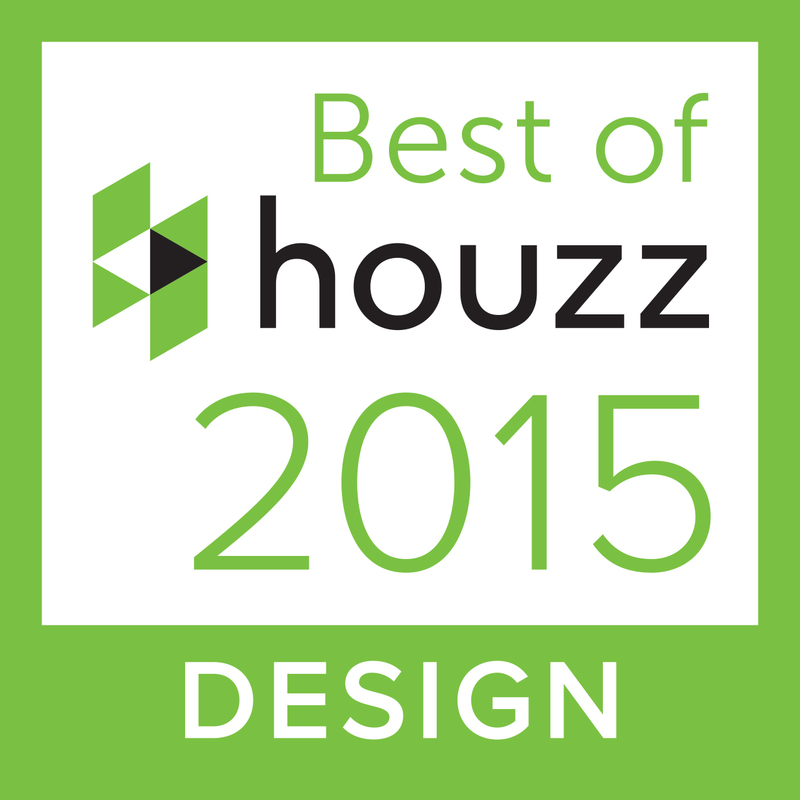 Contact Paula Berg Design Associates if you’re ready to discuss a potential home design project.